Happy Valentine’s Day! Scrambling for some last minute gift ideas? I’ve got several for you! While the Lisa Hoffman fragrance bracelets are available in many colors, I think the black looks best. You know I think the Kindle Fire is a great gift. I use mine daily. I love it to bits. It’s nice in that you can read books on it, watch movies, listen to music, surf the web, etc. 12 all new shades from Urban Decay in rosy neutral hues. It’s perfectly romantic. If chocolate is more your thing, the Too Faced Chocolate Bar Eyeshadow palette is what you need. This fragrance revels in the complexities of love, with warm notes of dark vanilla bean, sensuous sandalwood, provocative spices, and an unexpected kiss of sweet orchid. This is my favorite perfume right now and I’m wearing it almost daily! I also have some gift certificates to recommend. Available in $25, $50, and $100, they’re perfect for someone who loves cruelty free and vegan products. I just purchased OCC Suspiria myself and it’s a stunning shade. You know I love Sugarpill and there’s not a single product they make that I don’t love to bits. They’re perfect for a last minute gift. Available in $10, $25, $50, $100, $150, $200. All products are cruelty free and most are vegan. Plus, they just released their new vegan brushes, which I’m sure would be loved! Silk Naturals offers a $25 and $50 gift certificate. Their products are gluten free, cruelty free, and most are vegan. Available in $10, $25, $40, $50, $75, $100, $150, $200, $250, basically any amount that you need. You can get Cover FX, Urban Decay, Too Faced and more. Amazon has a surprisingly nice beauty section! You can find NARS, Sleek, Nyx and more. Concrete Minerals offers $10, $25, $50, $100 and $200 gift cards. They’re cruelty free and vegan. You can choose any amount between $10 and $1000 with Cult Nails. You can pick up Ninja Polish, piCture pOlish and many other fabulous brands here. This is perfect for the picky nail polish lover in your life. 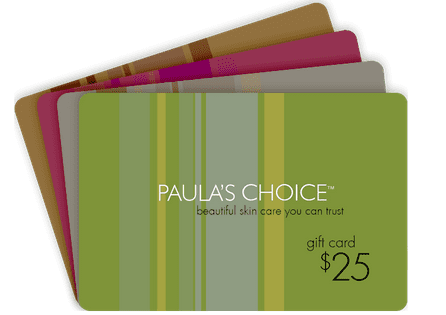 You know I love Paula’s Choice products and I think they would make an excellent gift. They offer cards in the amounts of $25, $50, $75, and $100. I love Pretty Serious! So happy they have gift cards. They offer them in $10, $25, $50, $75, and $100. Lush has gift certificates available from $5, $10, $25, $50, $75, and $100. 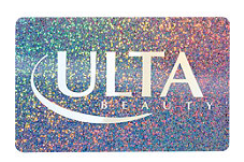 Ulta offers $10, $25, $50 and $100 gift cards. You can pick up It Cosmetics, Nyx and Zoya here. I love this shop and I own so many of their shirts! I highly recommend them. I have Evolutionary Spectrum, Big Bad Wolf, Death is Magic, Falling and Pokewarts. They offer certificates from $5 to $200. What are your favorite picks for last minute gift ideas? Let me know below! what great suggestions…especially the gift cards! Any giftcard would have been lovely! I deff think the naked3 is a must, I almost bought myself the kindle but I just purchased a laptop 2 days ago. I love TokyoMilk. I should buy that trio! I have many of the products you listed and I agree they would make the perfect gift! 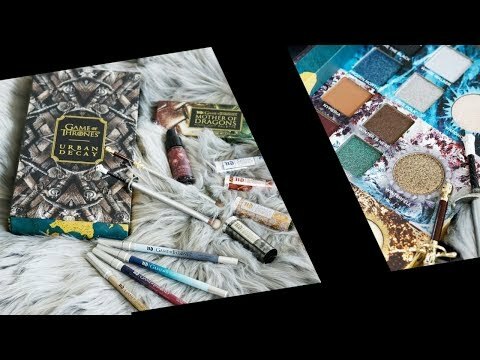 I need to grab that Chocolate Bar palette! I was looking at Tokyo Milk stuff today at Sephora. Gift cards are always a safe bet when I don’t know what to get for someone. I’d be so happy with any of these!! Gift cards are the best things ever invented! 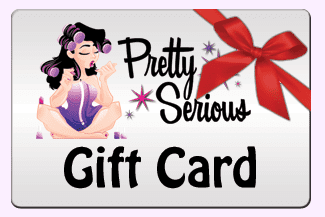 Gift cards are win-win gifts! 🙂 My husband and I have been discussing getting our son a Kindle because he loves to read. 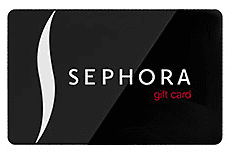 Gift cards are always a great gift – makeup and fragrance are so personal, it’s hard to buy for someone else. But, letting them know that you know they’d like some, but they can pick it out is a win-win in my book!